Powerwise Electrical are fully registered and insured Electric Car Home Charger providers and installers. Having installed many car home charger units since Electric Vehicles (EV’s) have come on the market we can offer you an efficient affordable service. We can also advice you on how to claim the new SEAI grant of up to €600 on a charger and install costs. The cost of labour is €375.00 Ex. VAT and includes routine fit out of up to 8 metres from the fuse board. 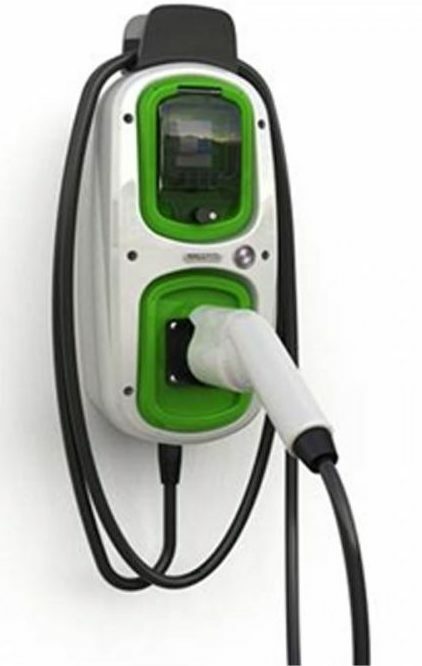 See our range of electric car home chargers below and the cost and features of each. Remember may be eligible for a grant up to €600 off your charger and install total. 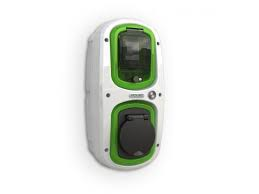 WallPod : EV Ready is a low-cost solution solution able to charge in mode 2 format (13amp domestic socket) almost every electric vehicle currently on the market. This unit has also been designed and prepared to be quickly and easily upgraded to full mode 3 charging as and when required. This 13amp IP65 domestic socket complete with 10amp overload and 30mA fault current protection can also double up as the home’s outdoor maintenance socket. 1. Amps – The 16A (3.6Kw) unit will charge the average car in approx. 8 hours. The 32A (7.2Kw) unit will charge a car in approx. 4 hours. To install a 32A (7.2Kw) unit, if you have a power shower or a heavy load on your existing power supply, you will need to install a priority switchover – our electrician can provide this at an additional cost of €200. 2. Kw Meter/Timeclock – Tells you and meters the amount of kw’s used and enables you to turn on/off the charger to optimise electrical usage at low cost times. €80 extra Ex VAT. 3. Keyswitch – This lets you lock the charger when you are not using it. €70 Ex VAT. The Rolec EV Tethered Home Charger is a simple, low-cost, easy to install mode 3 charging station offering either 16amp or 32amp Mode 3 Charging, designed specifically for charging electric vehicles at home. It comes with a choice of either Type 1 or Type 2, 5 metre long tethered charging cable attached. 2. Amps – The 16A (3.6Kw) unit will charge the average car in approx. 8 hours. The 32A (7.2Kw) unit will charge a car in approx. 4 hours. To install a 32A (7.2Kw) unit, if you have a power shower or a heavy load on your existing power supply, you will need to install a priority switchover – our electrician can provide this at an additional cost of €200. 3. Kw Meter/Timeclock – Tells you and meters the amount of kw’s used and enables you to turn on/off the charger to optimise electrical usage at low cost times. €80 extra Ex VAT. 4. Keyswitch – This lets you lock the charger when you are not using it. €70 extra Ex VAT. Wallbox claim this to be the smallest and smartest charger in the world, designed for charging electric and plug in hybrid vehicles. Wallbox Pulsar is a revolutionary smart charging system for electric vehicles, equipped with the latest technology and a compact and sophisticated design to deliver the best performance in the daily life of individuals and companies. Connect your APP via WIFI and monitor your car charging from the comfort of your sofa! Wallbox Pulsar is the most compact design on the market, delivering the maximum domestic power. 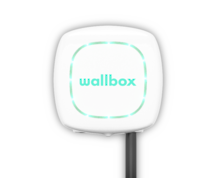 WallBox Pulsar is designed with Bluetooth smart connectivity that allows to get data on-the-go when you approach the charger. 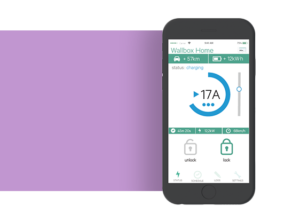 Features such as charging activation, energy consumption monitoring, charger and house energy reporting, automatic software updates, etc… make the WallBox Pulsar the smallest and smarterst connected charger on the market. Pulsar is universal. Compatible with any vehicle and electrical installation. Comfort is important. The Pulsar comes with a connector support included. Thanks to the Bluetooth connection, the Pulsar offers the possibility to have a charger with communication without necessity of Wifi, Ethernet or 3G. Easy to install, easy to use, easy to enjoy. The most compact design on the market with the maximum efficiency. Very small, very effective. Scheduling of the charging sesions. Allows to charge when the energy costs are the lowest. Manual power adjustment from the App. Our first ever charger with FACIAL RECOGNITION for added security! Wallbox Copper is the ultimate intelligent charging system for electric vehicles, equipped with the latest technology. With it’s elegant, compact and sophisticated design it delivers the best in class performance for the most sophisticated and discerning individuals and companies. Wallbox Copper is the smallest and most compact design on the market, delivering the maximum power, all under your control – with a wave of your hand. 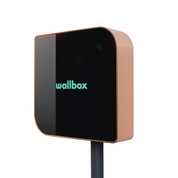 WallBox Copper is designed with Bluetooth/Wifi/Ethernet smart connectivity that can give you data on-the-go, either in real time or on a demand based according to your needs. It also ensures future proof compatibility thanks to it’s ISO 15118 ready hardware. Features such as charging activation, charging schedules, energy consumption monitoring, charger and house energy reporting, automatic software updates, etc…. make the WallBox Copper the smallest and smartest connected charger on the market. “myWallbox”, a personal area designed specifically for you, allows the control of charging sessions, to configure the charger and gives access to the consumption history and other services such as Smart Charging. “myWallbox” also allows the integration of data through OCPP with any backend system from the market.